Welcome to Theme Park Overload! Today, we have some exciting news to share with you....The opening date for Zumanjaro: Drop of Doom at Six Flags Great Adventure has officially been announced for July 4, 2014! 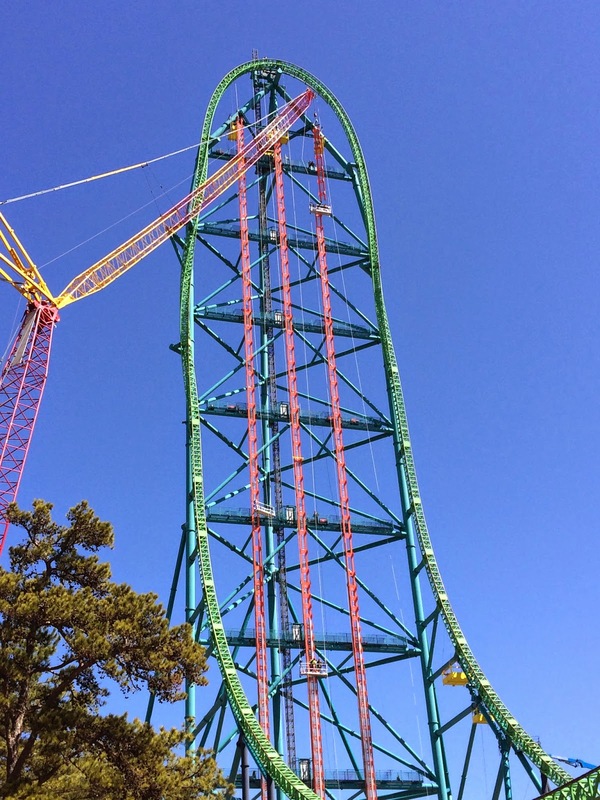 This new triple drop tower standing 41 stories, and attached to the iconic Kingda Ka roller coaster structure, will drop riders vertically at 90 MPH straight to the ground. It will take the record as Tallest and Fastest Vertical Drop Tower ride at 415 feet and 90 MPH (Currently held by Lex Luthor: Drop of Doom at Six Flags Magic Mountain in Valencia, CA). The entrance will be located in the Golden Kingdom section of the park. We can't wait to see the first brave riders take the Drop of DOOM within the coming week! That;s all for now from TPO. Make sure to "LIKE" Theme Park Overload on Facebook to get the Latest News and Exclusive Live In-Park Updates delivered straight to your newsfeed! www.Facebook.com/ThemeParkOverload My name's Nicholous, and Thanks for Reading!